This year, Who Cares? Scotland hosted our annual summer camp for care experienced people and so far, it is the highlight of my year. This is the first year I’ve attended summer camp and I’ve taken away so many fond memories. 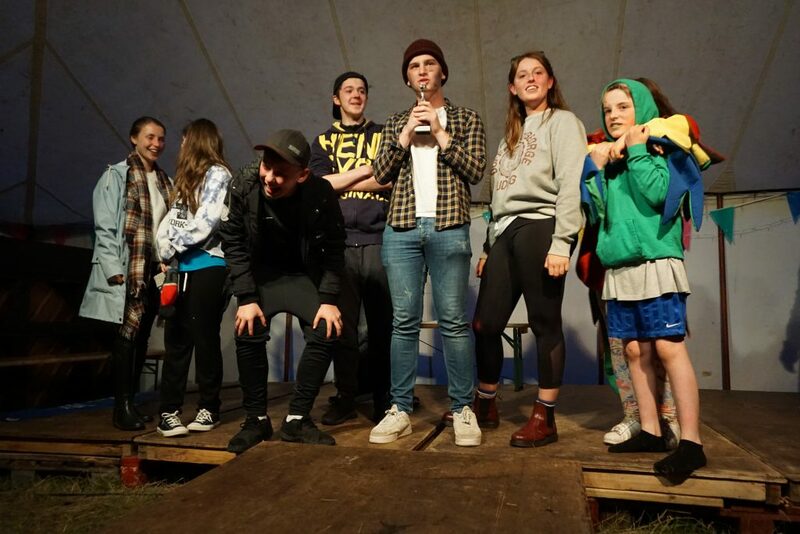 Camp is a great place for young people to have fun and take a break, but it’s also a safe space to share their experiences in a constructive and supportive environment where everyone is in care but no one cares. I was really interested in hearing about other people’s lives, as storytelling lies at the heart of corporate parenting. It allows professionals to understand care experienced young people’s perspectives and to challenge their own perceptions. Fiona Duncan – chair of the independent care review – came to camp to better understand what life is like in care. It is important for corporate parents to hear the voices of care experienced young people and learn more about the issues they face. On my way to camp I felt nervous because I didn’t know anyone well at all and I was about to spend days on a camp site with them. Initially, due to my nerves, I found it difficult to connect with the young people. I was also worried about sleeping on the ground with creepy crawlies because I’m so scared of them, so I wasn’t too happy to be sleeping on the floor. When we arrived at camp there were nets and balls everywhere and almost immediately after arriving everyone engaged in a fierce match of volleyball. The initial nervousness I felt vanished because I’m so competitive and wanted to win. We lost anyway, but I felt better. Camp has such an amazing atmosphere that it’s hard to be anything but happy. My favourite part of camp was the colour run at the end of the camp. The colour run was an obstacle course in camp where we had fun competing whilst being covered in paint. It was an opportunity to end camp on a high and have fun letting loose without a care in the world. It’s not often we can do reckless things like fling paint on people and Liz Brabender the lead of the secretariat team supporting the independent care review was helping me throw it! As young people, we aren’t allowed near the sea without a first aider on duty so the colour run presented an opportunity free of restrictions and it was incredible to see people like Liz and Fiona getting involved and having fun regardless of their roles and responsibilities in the real world. After a day filled with activities we had ‘sing song’ which was our entertainment every night and it was a space for the young people to showcase their talents and to be encouraged by their friends. Following that we had the epilogue and it was a calm and reflective time that care experienced people in various stages of life, used to share their experience in care and what camp means to them. On the last night, I shared my thoughts on camp and the impact it has made on me. The simple act of an audience listening empowered me to help others understand the struggles of life in care. Camp is important and special because I had the opportunity to listen to other people’s stories. I hope that I can communicate aspects of those experiences to key decision makers in my role as corporate parenting ambassador. It’s not often we can do reckless things like fling paint on people and Liz Brabender the lead of the secretariat team supporting the independent care review was helping me throw it! As young people, we aren’t allowed near the sea without a first aider on duty so the colour run presented an opportunity free of restrictions and it was incredible to see people like Liz and Fiona getting involved and having fun regardless of their roles and responsibilities in the real world. I was out of my comfort zone every night of sing song doing funny and disgusting things from eating cricket chow mein to performing ‘Oh Happy Days’ dressed as something in between a clown and a magician. By the end of my time at camp I didn’t mind making fun of myself because it was worth it to see smiles on the children’s faces. Everything about the camp was excellent, but most of all, I left feeling and overwhelming sense of love for all the children I had spent time with at camp with and I wished that they didn’t have to go home to their carers and units. Camp motivated and empowered me to make sure that in the future they were going to go home to a place where the people that look after them love them as much as I do. It is a place where they are safe and surrounded by their care family and people who understand their situation. These young people are amazing and they deserve a place where they can be unapologetic about who they are and where they can make friends and family for life and I’m immensely proud that Who Cares? Scotland provide that opportunity for the care experienced population.